Alberta, with some 27,525 square kilometres of protected land in more than 500 sites, is a nature lover’s dream destination. 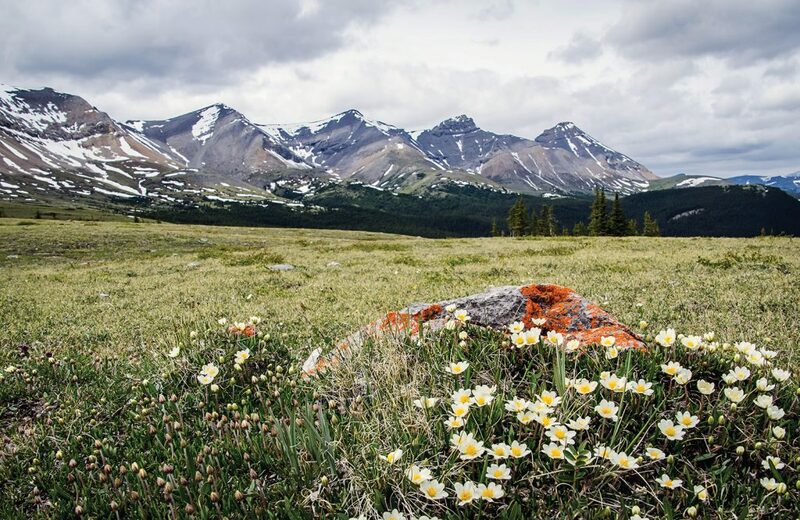 Many visitors associate Alberta with the Rockies, but the mountain parks are just one piece of a province that is filled with spectacular landscapes. There’s natural beauty to be found in mountain landscapes, grasslands, prairies, lakes, parkland, boreal forest and badlands. Here are five nature hot spots that showcase a different side of Alberta. Stunning mountain scenery with a chance to see a waterfall and the blue-green Grassi Lakes. A family-friendly hike that has two routes to accommodate all ages and abilities. An opportunity to watch rock climbers and explore shallow caves. There’s often more than one way to get somewhere; in the case of the Grassi Lakes, there’s an easy way and there’s a more difficult option. If you take the easy way, you walk up a gravel service road with a gentle grade. If you take the more challenging route, however, you go along a wooded trail to a rocky viewpoint with a great view of the Grassi Lakes Waterfall and the town of Canmore — something you completely miss on the easy route. Whichever path you choose, you’ll end up at a pair of beautiful blue-green lakes. There are some very shallow caves above the lakes that are fun to explore. This area is popular with rock climbers and you can sit on a large rock, enjoy a snack, and watch them inch their way up the cliffs above the two lakes. The lakes, the mountain and the trail were all named in honour of Lawrence Grassi, an Italian immigrant miner who lived in Canmore and built the original Grassi Lakes Trail, as well as many others in the Canadian Rockies. Grassi worked in the Canmore coal mines, climbing mountains and working as a climbing guide in his spare time. He is remembered as a trailblazer who spent his life building trails so that others could more easily enjoy nature. Today, Grassi Lakes is a popular day use area in Canmore Nordic Centre Provincial Park. Cross-country skiing, snowshoeing, day hiking, mountain biking, roller skiing, orienteering and disc golf can all be enjoyed here. Each spring and fall, thousands of golden eagles migrate between their wintering grounds in the western United States and northern Mexico to breeding grounds in Alaska and the Yukon. They pass over the Rockies in relatively narrow streams, and large numbers can be seen in the skies near Canmore each year. The Rocky Mountain Eagle Research Foundation conducts annual bird counts at two sites in Kananaskis Country — Hay Meadows and Mt. Lorette. If you’re passing through this region in the spring or fall, it’s a good idea to keep your eyes on the skies. Three stunning lakes offer excellent fishing. The chance to see woodland caribou. If you’re after a weekend of fishing, boating, hiking and tranquility, then this is a great park to visit. It’s a little off the beaten path, as it’s a solid four-hour, 400-kilometre drive northwest of Edmonton. But that helps keep numbers down, so campsites are relatively easy to find, and you can reserve online. Most are quite lovely and private, with lake views and plenty of space. It’s also a stopover for many RVers, as it’s on the scenic route to Alaska. A large number of people who visit the park come for the excellent fishing. Three of the five lakes in the park, Moberly Lake, Desjarlais Lake and McDonald Lake, have boat launches. These three lakes are stocked with both rainbow and brook trout. Kayaking and stand-up paddle boarding are popular on the lakes as well. Hikers love the park. There are 24 kilometres of easy trails, including loop trails around Desjarlais and McDonald Lakes. One of the prettiest parts of the park is found on the hike out to the end of the spit in Desjarlais Lake. When you reach the end, look up high in the tree for a massive osprey nest. In early summer, you might hear the osprey chicks. Occasionally there are bald eagle sightings, and you will most certainly hear the cry of the loon. The hike to the remains of the historical trading post on the shores of Moberly Lake is also worthwhile. This park is named for Pierre Gris, a Métis trapper who ran the trading post between 1886 and 1894. Reportedly, on one trip to Lac Ste. Anne, he had more than 100 pack horses loaded with pelts. He and his wife were known for raising a number of orphaned children. They were casualties of the 1918 flu epidemic. Lucky visitors, especially in the spring and fall, might see a few of the woodland caribou who live in the area. Other animals you might encounter include black and grizzly bears, white-tailed deer, elk and moose. The park is popular in the winter for ice-fishing. Thanks to the grooming efforts of a local volunteer group, you can cross-country ski 15 kilometres on rollercoaster-style runs through kame and kettle topography. One of the few places in Alberta where you can drive to an alpine meadow. Cadomin Cave provides important habitat for bats; it’s one of only four spots in Alberta where bats can overwinter. Over 277 plant species including many that are rare. 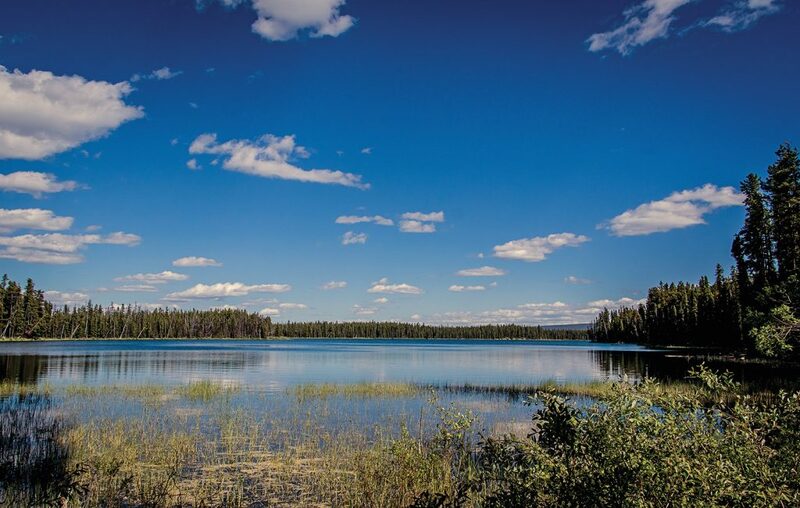 If you love truly wild places, head for Whitehorse Wildland Provincial Park located about an hour’s drive south of Hinton. The park shares its western border with Jasper National Park. On the drive up to the park, especially if you go to the divide, you’ll feel like you’re heading off on a remote adventure. 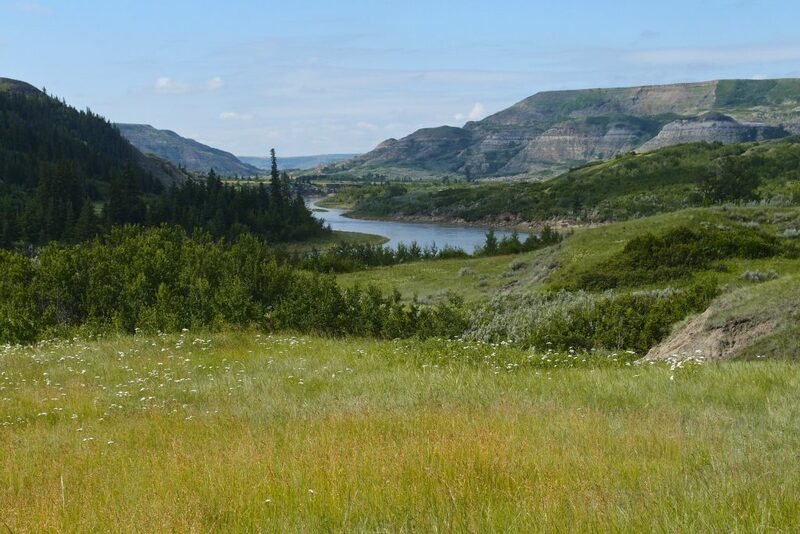 Visitors can explore the park via a backcountry trail that begins at the Whitehorse Creek Provincial Recreation Area, not far from Cadomin or on foot from the Cardinal Divide Viewpoint Parking Lot. The trail to the Cadomin Bat Caves (Alberta’s largest bat hibernation cave) is temporarily closed to reduce the risk of white-nose syndrome, a fungal disease that kills cave roosting bats. If you head for the Cardinal Divide, a high clearance vehicle is recommended in case there are issues with the road. The drive up the dirt road passes an active coal mine with massive trucks at work on their own dedicated road. Once you get past the mine, you’ll be struck by the beauty of the wilderness, prime habitat for a variety of animals including elk, moose, mule deer, bighorn sheep, black bears, wolves, cougars, marmots and pika. The Cardinal Divide sits at an elevation of 1,981 metres on the division of two major river systems. The McLeod River drains into the Athabasca River, which flows north to empty into the Arctic Ocean. To the south, the Cardinal River flows into the Brazeau River and then into the North Saskatchewan River, which flows east across the prairies to drain into Hudson Bay. The area around Cardinal Divide can only be explored on foot and camping is not permitted. Extensive alpine meadows, renowned for their summer wildflowers and sub-alpine slopes will beckon the hiker. Stay on the unmarked trails to protect the very fragile soil and plants. Some people attempt to scramble up the closest mountain you can reach on foot. Another hiking option is to follow the dirt track from the parking lot east up the ridge for gorgeous views of the upper foothills. It’s also possible to hike, backpack or horseback ride into the park from the Whitehorse Creek Provincial Recreation Area. To find it, look for a turnoff marked “camping” on the road up to the Cardinal Divide not far from Cadomin. There are a number of campsites by the trailhead that can also accommodate horses. The Lower Whitehorse Trail takes you through prime grizzly country so be bear aware. 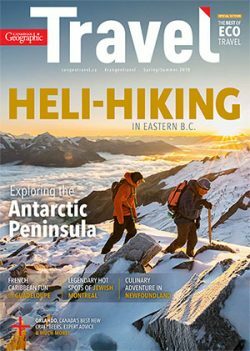 You can actually do several multi-day trips; one over Fiddle Pass and into Jasper National Park or visit the Wildhorse Creek Falls. There are several backcountry campsites along the trail. As you hike or ride look for some of the 277 different plant species that live in the park, including 37 that are rare. One, a moss, Bryum porsildii, is found only at a few other locations in the world. At the lower elevations you may also spot harlequin ducks and some of the 128 bird species that visit the park. Stunning badlands scenery that includes a buffalo jump used by Plains Cree over the past 3,000 years. More than 150 species of birds, including several species of raptors. Fossil-rich area — one of the world’s most important Albertosaurus bone beds is inside the park. Finding solitude and having a piece of wilderness all to yourself is one of the best reasons to visit this park. It bears a strong resemblance to Dinosaur Provincial Park; there are hoodoos and badlands, a river and aspen-rich woods. The only thing missing is the crowds. The park itself is a day-use area with several picnic areas and no formal trails. Its interesting name actually has two parts. The buffalo jump was used by the Plains Cree many times over the last 3,000 years. Hunters herded the buffalo and drove them off the cliff as a way of hunting them. This cliff is unique because it is higher than other buffalo jumps discovered in Alberta. The dry island is the other interesting feature of this park. Thousands of years of erosion from rain and streams has created what looks like a flat-topped plateau covered in prairie grasses. In the midst of the otherworldly landscape of the badlands, it looks like an island. Visitors to the park often make it a goal to get to the top of the island. What makes this park special is the wide variety of terrain. There’s a little bit of everything here — short grass prairie, semi-desert badlands, boreal/mountain forest and aspen forest. You can find prickly pear cactus growing next to white spruce. This makes for fascinating plant and animal communities. About 150 species of birds have been spotted in the park, and it’s common to see migrating birds of prey along valley cliffs. The badlands provide an ideal habitat for raptor species like ferruginous hawk, golden eagle and prairie falcon. Marsh areas provide a habitat for waterfowl, and many more birds can be found in the deciduous woods. The park has a launch site that is a good spot to begin a raft, canoe or kayak journey along the Red Deer River. Fur traders and early explorers used the Red Deer River as an important trade and exploration route. It’s not uncommon to see fossils in the park and along the banks of the river. 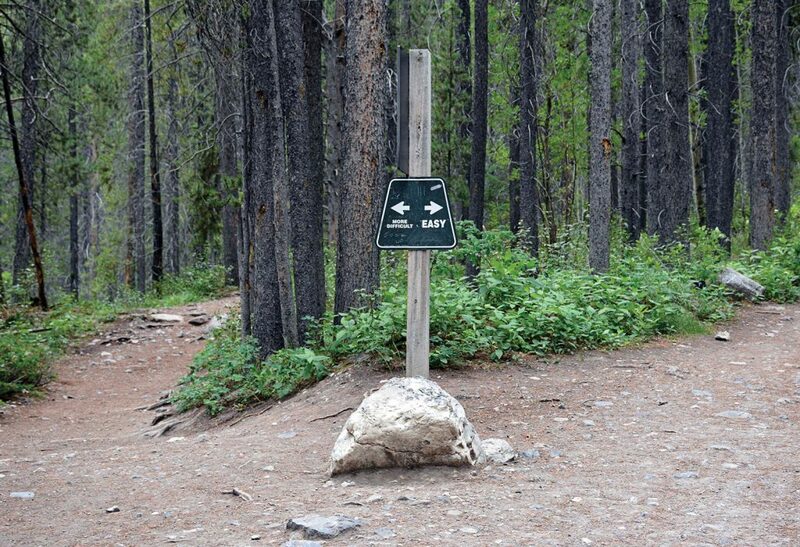 Be warned, however, that fossils and rocks, as well as all plants and animals, are protected in provincial parks. It is illegal to move or remove them. If you spot something interesting, mark the spot and report it to the staff at the Royal Tyrell Museum of Palaeontology. One of the world’s most important Albertosaurus bone beds is inside the park, and excavations have taken place there in the past. Alberta’s third-largest lake is rimmed with some of the finest beaches in the province. Nearly half of all North American bird species rely on the boreal forest region, and this area is an example of that region. The Boreal Centre for Bird Conservation is a great place to observe and learn about migratory birds. When a strong wind blows waves across Alberta’s third-largest lake, you can almost believe you’re at the edge of the ocean as you gaze out from the sandy shoreline. 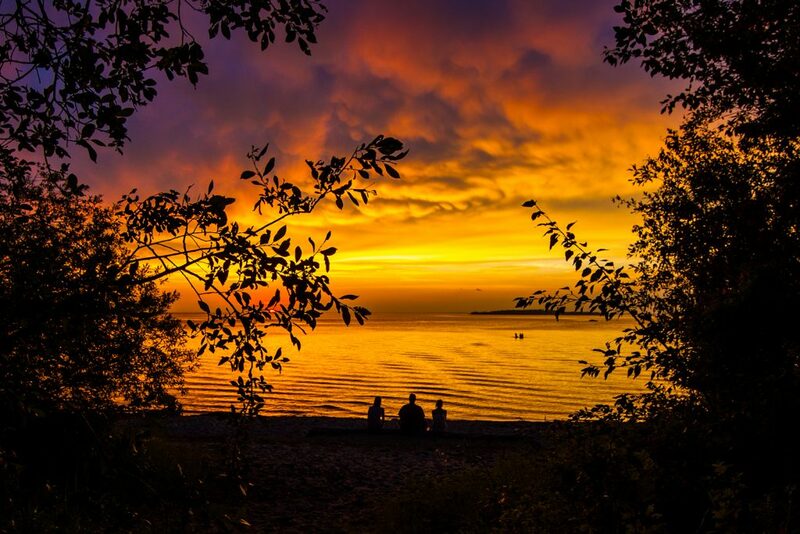 At nearly 1,200 square kilometres, Lesser Slave Lake is rimmed by some of the finest beaches in the entire province and is a wonderful place to visit on a warm summer day. It’s also a great place to see sand dunes, hike, watch wildlife and see birds. Lesser Slave Lake is a prime fishing lake, and the forests that surround it teem with wildlife. For these reasons, the region was well known to the Beaver and Woodland Cree, two tribes that lived and hunted in the region. David Thompson was the first European to reach Lesser Slave Lake, arriving in 1799. He commented on the abundance of moose, bison and waterfowl in the area, and he made detailed survey observations to map the area. Fur trading posts were eventually built on the shores of the lake by the North West and Hudson’s Bay Companies, and Lesser Slave Lake became one of the most productive fur bearing regions in Canada. A unique microclimate and the rich habitat of the boreal forest make this area a haven for nesting and migratory birds — especially songbirds. The area has been designated an Important Bird Area. 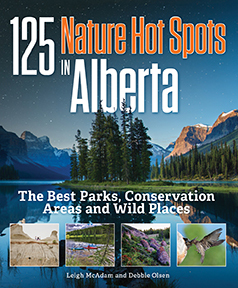 Excerpted with permission from 125 Nature Hot Spots in Alberta: The Best Parks, Conservation Areas and Wild Places by Leigh McAdam and Debbie Olsen, published by Firefly Books Ltd. / Copyright © 2018 Firefly Books Ltd.
Leigh McAdam is the author of Discover Canada—100 Inspiring Outdoor Adventures and the creator of the popular blog hikebiketravel.com. Debbie Olsen is an award-winning, Alberta-based writer. She has contributed to nine Fodor’s guidebooks about Alberta and writes a regular travel column for the Calgary Herald.